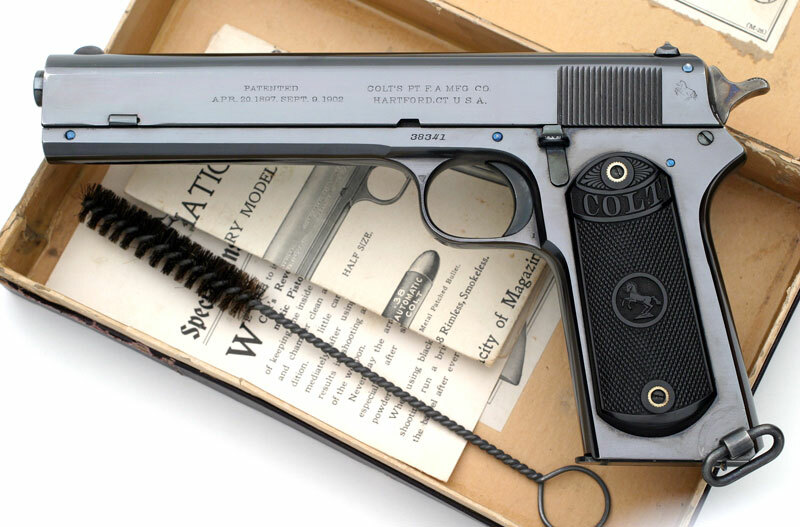 Colt Model 1902 Military .38 ACP Serial Number 38341 - This pistol was manufactured late in 1916. Finish is high polish blue with blue small parts, fire blue pins and black checkered hard rubber stocks. The hammer and lanyard loop are color case hardened. 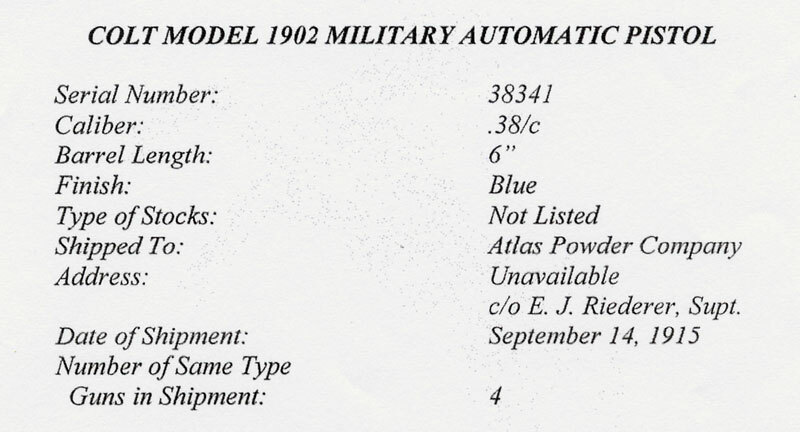 This Colt 1902 Military .38 ACP was one of four guns shipped to Atlas Powder Company, Address unavailable, c/o E.J. Riederer, Supt. (Superintendant) on September 14, 1915. 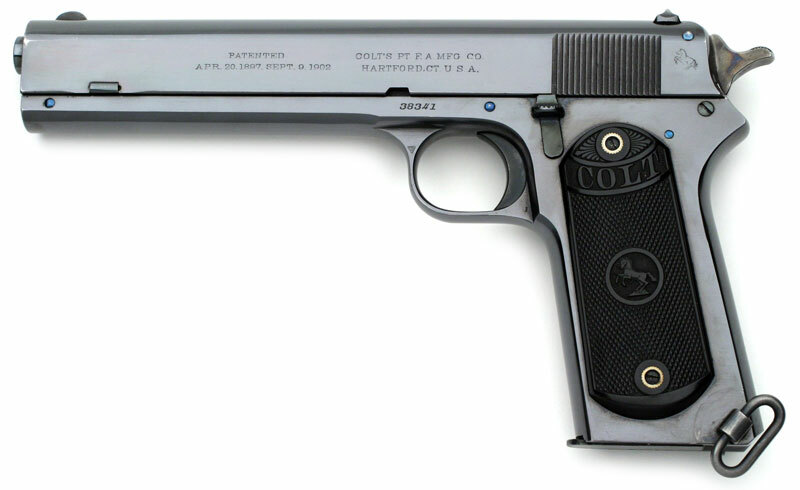 Colt Model 1902 Military .38 ACP, serial number 38341, right side. When the early style slide serrations were relocated to the back of the slide as on this pistol, the "BROWNING'S PATENT" (left side) and "MODEL 1902" (right side) slide markings were no longer used. The September 9, 1902 patent covered several features, but the most significant improvement was the slide lock device. 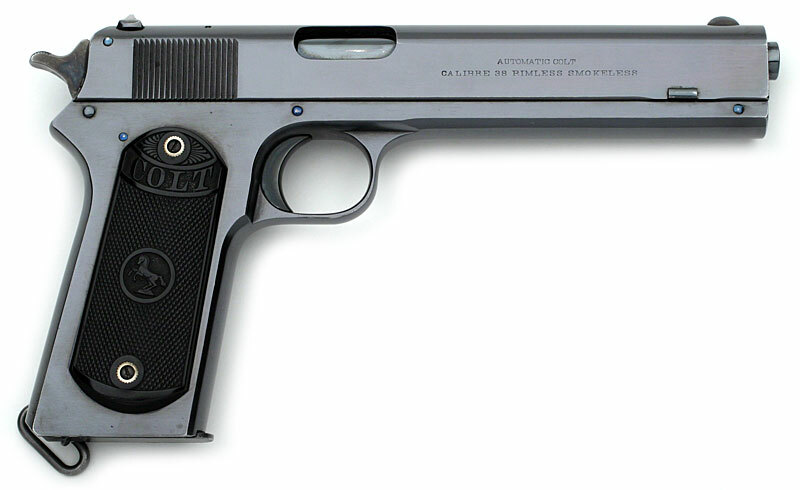 The concept surrounding this John Browning designed modification was utilized by Browning in the design of the Model 1911. The earliest examples have split slide locks which were used to create tension on the groove in the frame. This later type was used from 1907 forward. 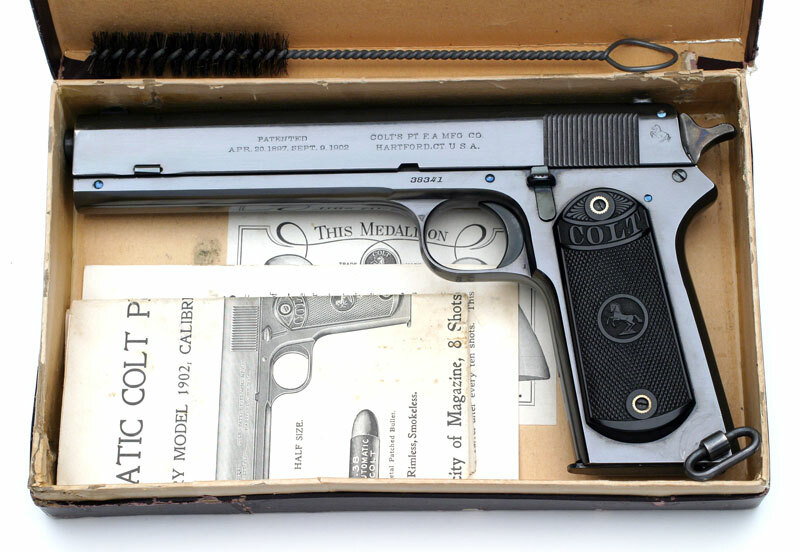 Colt Model 1902 serial number 38341 pictured with factory box, instructions, special instructions and factory wire and black bristle cleaning brush. This example does not have the takedown hole (which was no longer needed to disassemble the gun due to the modifications as specified in John Browning's September 9, 1902 patent) remained as part of the standard machining process. This takedown hole disappeared in 1908. 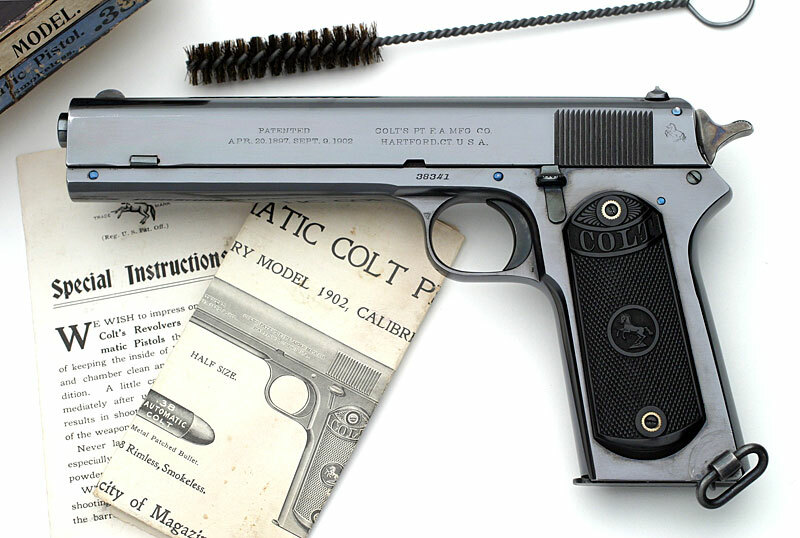 Colt Model 1902 Military magazine, full blue, unmarked base plate The earliest style of 1902 Military magazines were nickel plated. In the high 13000 serial number range, the nickel magazines were replaced with full blue variations with the same patent marking. In 1905 in the 12000 serial number range, the patent date was omitted.